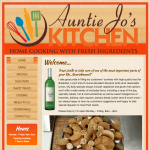 Auntie Jo’s Kitchen’s motta is “Home cooking with fresh ingredients” and it shows in the dedication, and passion they put into every dish they create. 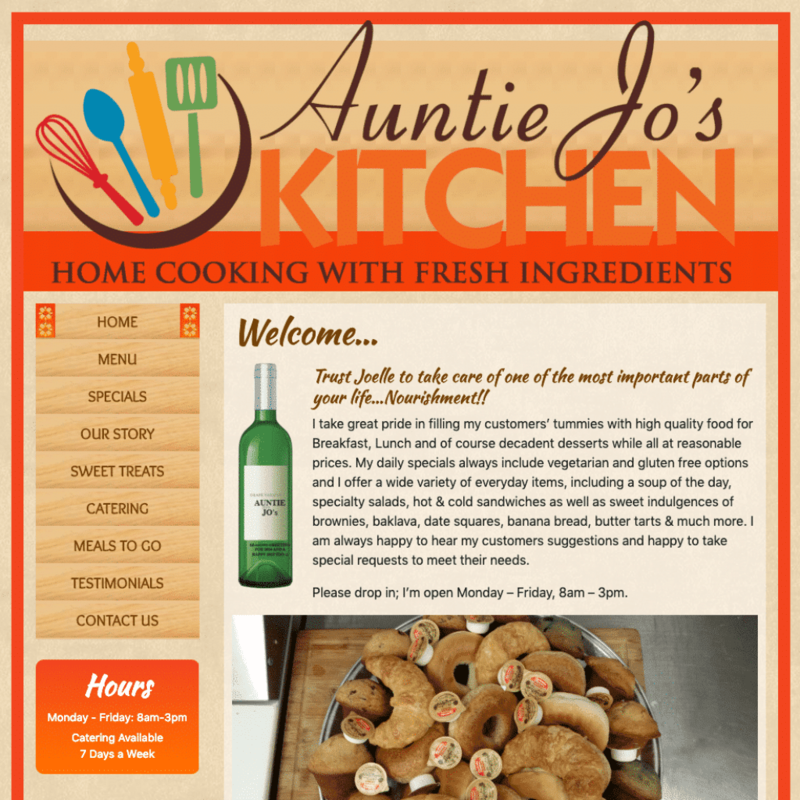 Auntie Jo’s Kitchen came to Think Forward Media to bring their website up to date with new photos, pricing, and to make it work on a mobile phone. 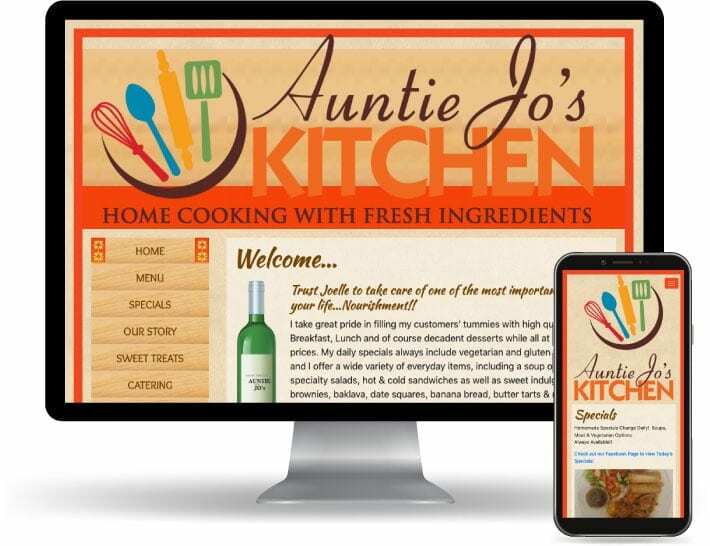 First we migrated their website to WordPress allowing them to easily make changes and updates to their website, and provide them with better security and updates. From there we made their existing look and feel work on a mobile phone, and tablet improving their ranking on Google and bringing them more customers.